Can you unplug from the matrix? Can you choose to stay away from a computer for a full 24 hours? 48 hours? A week? As a freelance writer who works primarily on web-based projects like professional blogging, I spend an inordinate amount of time online. During the week, there is a very significant chance that I’ll turn on the laptop as I’m brushing my teeth in the morning and the computer will not be shut off until moments before I go to bed. The entire time that the laptop happens to be on, it is also online. I could be researching an article topic, interacting through Twitter, or catching up on posts in my Google Reader. Whatever the case, I’m online. Now, it’s one thing to use something on a regular basis. It’s another thing altogether to have that transform into an addiction. Just because you take the bus to work every morning does not mean that you are addicted to public transportation. Just because you like the song stylings of Die Toten Hosen doesn’t mean that you are addicted to German rock music. These are things that can quite easily be replaced or displaced. Addiction can be roughly defined as an uncontrollable craving or seeking of something to the point where the person becomes completely dependent. The individual experiences dramatic negative effects when withdrawn from this substance or behavior. The negative effects can be harmful or dangerous for the person’s physical, mental, social, and economic functioning and well-being. When most people consider addiction, they think about things like drugs, alcohol, and gambling. The fact of the matter is, people can get addicted to just about anything. Deprive certain people from their video games and they’ll display the exact same symptoms as a person trying to quit smoking. They can become irritable, have sleep problems, and experience uncontrollable urges when around other smokers gamers. The Internet is my livelihood. 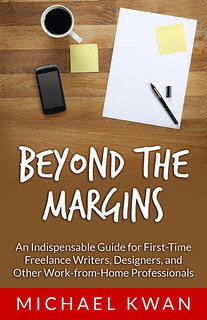 If it wasn’t for the web, I wouldn’t have met a lot of the people that I have and I wouldn’t have been able to launch (and grow) my freelance writing business. Many of us, myself included, look forward to funny videos on YouTube or the ability to reconnect with old classmates on Facebook. The world wide web is a wealth of valuable knowledge and interactivity. Given all the good things that can come from surfing the net, it’s perfectly understandable that an ever-increasing number of people are going online and refusing to disconnect. It’s not only when we are at home or at work, because there are countless individuals who have their cell phones hooked up to a Facebook or Twitter account. BlackBerry users are addicted to mobile email. Many smartphones offer full HTML web browsers. The Internet is just so accessible and it’s hard to resist the urge to send out one last tweet, to read one last blog post. I realize that this is going to sound a little counter-intuitive and a little counter-productive, but it is absolutely paramount that you find some time during your online journeys to step away from your computer. (Make sure you read Beyond the Rhetoric before you do.) Dot com moguls still need the real world and you need to disconnect once in a while. Get out there and live your life. I was completely without Internet access while in Beijing last year and it was one of the most surreal (and freeing) experiences I have had in some time. Don’t quit the Internet, but don’t neglect real life either. Do You Have Incompatible Goals? When Did Google Reader Gain StumbleUpon? Each weekend when I go visit the girlfriend at her place in the westend I don’t have access to anything that can be used to get on the internet. No computer, laptop etc. It’s great! When I went to the Dominican I had no access to the internet or a computer. Wait, that’s a lie. I could of used the laptop in the lobby for free internet but I loved being ‘detached’ from the net. Though ultimately I need the internet. It’s my life! lol well computers are and working on websites requires me to have an internet connection. So at one point I would need to ‘jack in’. A friend of mine once referred to his Blackberry as a Crackberry because everyone in his office seemed to be addicted to it. Constant instant gratification of push email can do that. how the hell do you take your lappie with you whilst brishing your teeth? I start brushing my teeth and then I walk over to the laptop to turn it on. This way, by the time I’m done brushing, the laptop will be completely booted up. Alternatively, you can look out for Kung Fu Panda, coming your way in June 2008. Our contemproary lifestyles are far too interwine with the Internet that it becomes very difficult to get disconnected (physically) and disengaged (mentally) from these “ills” of modernity. Without Internet access, you got disconnected from the web during your Asia trip, but did you get disengage from it? I bet you were shooting videos/photos and noting down interesting events of the trip so that you can put up blog posts of them upon your return. No? The power grip of the Internet is so great that ALL RESISTANCE IS FUTILE. Hsving said that, it is International Shutdown Day on 3 May, 2008, let’s support the crusade and shutdown our computers! Yup. While I was disconnected from the web, online-related matters were constantly on my mind. Pictures and videos for blog posts, yes, but also the thought of how many emails I would have to read upon getting re-connected, how many blog posts I would have to read, and so on. See my point? I rest my case. We typically keep our desktops powered on at all times at home so we can do a quick check of email or twitter. Using a computer all day at work, I then come home and spend hours on a machine at home writing blog posts, reading other blogs, commenting, etc. It is pretty rare that I go a day without doing something on the computer. The times that I have though are usually so relaxing and enjoyable. I am also addicted to the Internet. Everyday, upon waking up, I’d open my laptop at once and connect to the Internet. The time I’d put my laptop off would be the time when I’ll be off to bed, unless I’m out for workout or gimmicks. However, I still find myself not letting go of facing the real world. I know when I should be out there mingling with people and when I should go online – that is, when I have tasks to do that requires research or when I just want to socially connect to various people all over the world. I believe the term has been coined “disconnect anxiety” for us internet addicts. Having an iPhone at home can help you unglue yourself from the laptop at times, but nevertheless you’re still online. It’s the world we live in now…life and the web has almost become one.